Our Middle School program is designed for young athletes in 7th and 8th grades. 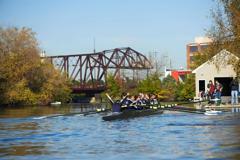 Athletes will learn the essentials of sweep rowing (one oar per person) with land-based training on rowing machines and in a boat on the Chicago River. 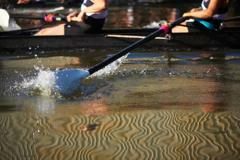 The focus is on basic rowing skills and terms, with an emphasis on learning how to row as a crew of 8. You will have fun learning the basics of the sport and improve your overall fitness level and you will meet other middle schoolers from all over the Chicago-land area! Coach Maida Wallin and other members of CRF's coaching staff oversee the Middle School team. All of our coaches are former collegiate athletes, including national champions and former national team members. 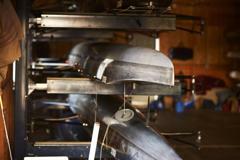 Fall training takes place at the Weed Street boathouse. Training is at the state-of-the-start WMS Boathouse at Clark Park utilizing the ergometers, indoor rowing tanks and 8+ person racing shells on the Chicago River.